RoboCop enjoyed a terrific debut in China to bring its overseas total up to $136 million. The sic-fi remake grossed $20.5 million from 6,265 screens in its Chinese opening weekend to become the top film on the market. The opening tally more than triples the debut of Captain America and more than four times the launch of the first Iron Man film in China. RoboCop continues to draw audiences in Brazil, where director Jose Padilha's Elite Squad 2 holds the record for the highest grossing film of all time. RoboCop posted a $2.4 million hold from Brazil to reach a $7.3 million total in the market. 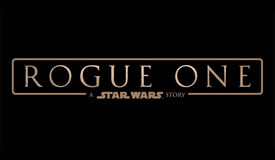 The film's struggles in North America has stalled the new franchise, however, as its global total currently stands at $187.2 million. 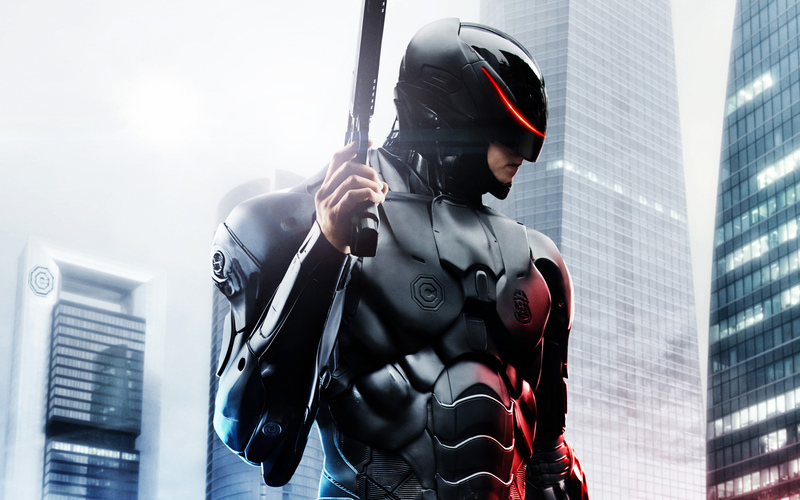 RoboCop will open in Japan in two weeks. The LEGO Movie continued its strong overseas with a $21 million weekend from over 7,100 screens in 53 markets. The film took first place in its Russian debut with $4.4 million from 1,186 screens, including previews. The LEGO Movie continued to dominate the U.K. box office with a third consecutive first place finish. The animated film collected $5.4 million from 1,141 screens in its latest frame to reach a local cume of $44 million in the United Kingdom. Other top markets for the film include Mexico ($9.4M), France ($7.1M), Spain ($5.9M), and Brazil ($5.2M). The LEGO Movie has grossed $121.1 million overseas and $330.4 million worldwide. Pompeii claimed $16.4 million from 48 markets in its second weekend overseas, bringing its total outside of North America to $47.7 million. The film took $1.5 million from 44 screens in Germany and posted a strong hold in South Korea, where it added $2.8 million from 475 screens in its sophomore frame to reach an $8.5 million cume in the market. France also held up well with $1.5 million from 339 screens to reach a $4.8 million cume. Pompeii has grossed $65.4 million worldwide. The Hobbit: The Desolation of Smaug posted a strong hold in its second weekend in China, claiming $11.9 million to take its running total in the market up to $56.1 million. The film opened in first place in Japan over the weekend with $3.4 million from 682 screens, a 36% improvement above its predecessor. Mr. Peabody & Sherman opened in 14 new markets this weekend, securing the top spot in ten of them and finishing in second place in the remaining four. The new openings gave the film $15.5 million in its latest frame to reach an overseas total of $39.5 million. Mexico led the markets with a $3 million bow from 1,509 screens. Germany also posted a good debut with a $2.4 million second place finish from 885 screens. The film also opened in second place in Brazil, where it grossed $1.6 million from 624 screens. France was the top performer among hold-overs with a $2 million take, a 44% improvement from the previous weekend. Mr. Peabody & Sherman has grossed a total of $6.2 million in France. The United Kingdom continues to be the film's top market with a $19.1 million cume. Mr. Peabody & Sherman expands to 36 more markets next weekend, including Russia, Spain, Poland, and Sweden. The Momuments Men opened in 10 new markets over the weekend, bringing in $8.5 million from 5,083 screens in a total of 55 markets. The George Clooney film has grossed a total of $39 million overseas. Germany posted a strong hold in its second weekend, adding $1.4 million from 592 screens to reach a $4 million local cume. Spain also contributed a good performance in its sophomore frame, earning $1.2 million from 402 screens to reach a $3.7 million local cume. Monuments Men has grossed $104.6 million worldwide. A $6.75 million weekend bump from 35 territories helped Frozen hit the $1 billion mark at the global box office. Frozen is the biggest non-sequel animated film of all time and the second biggest animated of all time globally. Frozen hit the $1 billion mark after reporting grosses of $388.7 million in North America and $611.5 million overseas. 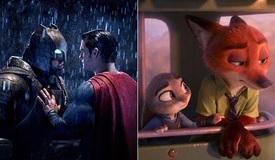 The film is the seventh release from The Walt Disney Studios to reach $1 billion, joining Marvel's The Avengers, Iron Man 3, the second and fourth Pirates of the Caribbean films,Alice in Wonderland, and Disney/Pixar's Toy Story 3. Frozen is the third highest grossing animated release in North America and the fourth highest overseas. It is the top grosses in both categories among original IPs. Top markets for the animated film include South Korea ($76.2m), the United Kingdom ($63.5M), Germany ($47.7M), France ($42.6M), China ($42.6M), Russia ($33.3M), and Australia (30.7M). Frozen will open in its last territory, Japan, on March 14. 12 Years a Slave enjoyed a nice bump from the Academy Awards, taking $6.6 million from 55 territories during Oscar weekend. The drama's overseas total stands at $89.9 million. 12 Years a Slave has grossed $140.1 million worldwide. The Book Thief took a $2.4 million bow from 454 screens in the United Kingdom to raise its overseas total to $40.5 million. 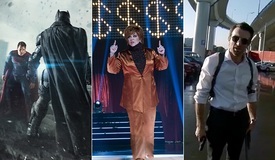 The film finished the weekend with $3.4 million from 1,760 screens in 22 markets. The Book Thief has grossed $61.7 million worldwide. Wes Anderson's Grand Budapest Hotel opened in France, claiming $2.8 million from 172 screens ahead of the its North American debut. It is the highest opening weekend ever for an Anderson film in the market, improving on the director's previous efforts two or three times over. Ride Along cruised to a $2.5 million weekend from 450 dates in 10 territories, raising the international total to $7 million. A $2.3 million opening weekend in the U.K. claimed the lion's share of the weekend's grosses overseas. The comedy has grossed $134.2 million globally. 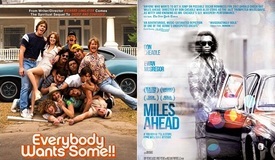 The film will be released in 6 more territories, including the Netherlands on March 6 and Australia on March 20. Jack Ryan: Shadow Recruit took $2.2 million from 1,697 screens across 33 territories, including three new openers. The spy film enjoyed a $1.1 million debut from 402 locations in Germany. Jack Ryan's overseas total stands at $81.8 million. The film has grossed $131.6 million worldwide. 47 Ronin is slowing down overseas. 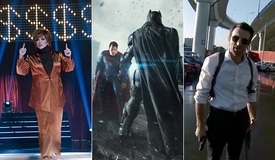 The action flick took $420k from 350 dates in 16 territories to reach an overseas cume of $107.4 million. 47 Ronin has grossed $145 million globally with 4 more territories left on its schedule. The film will open in Israel and Italy on March 13 followed by Belgium and France on April 2. Endless Love hasn't found much love overseas. The remake grossed $350k from 500 dates in 22 territories to reach an overseas total of $7 million. The film has grossed $29.2 million worldwide.